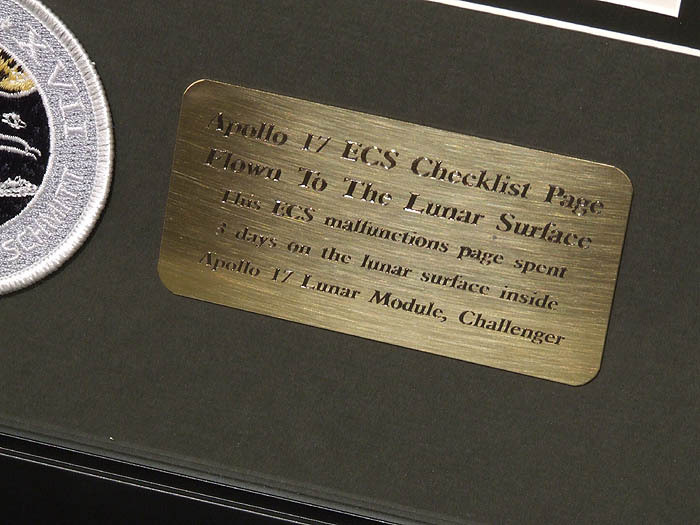 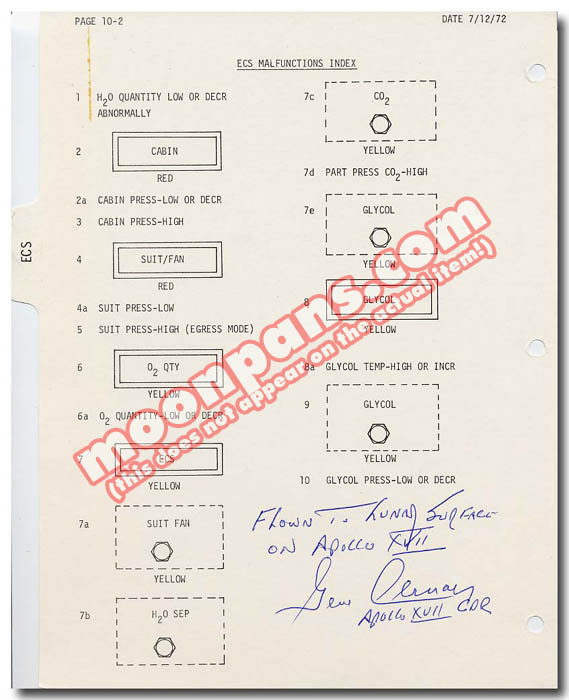 This Apollo 17 Flown page comes form the LM Malfunction Procedures Manual. 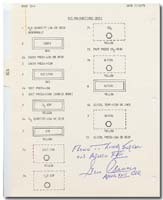 This is a trouble-shooting "yes-no" flowchart for every major system aboard Lunar Module "Challenger". 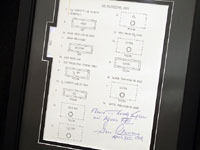 It is the index page for the Environmental Control System, which deals with vital systems aboard the LM such as Oxygen and CO2 levels. 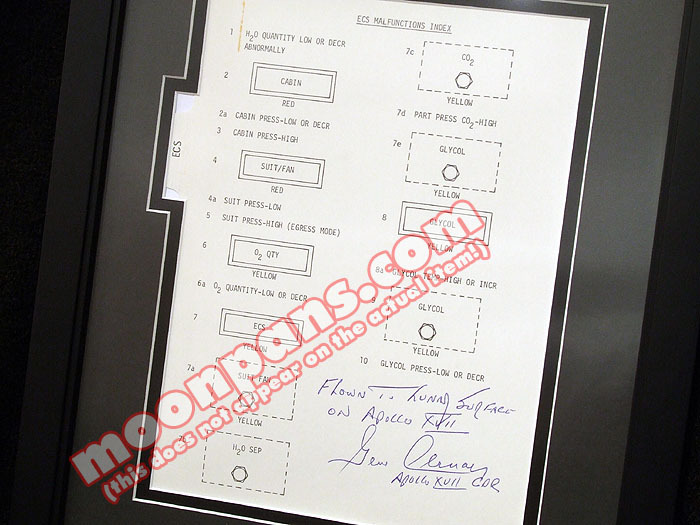 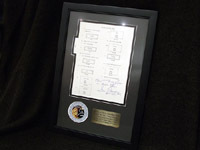 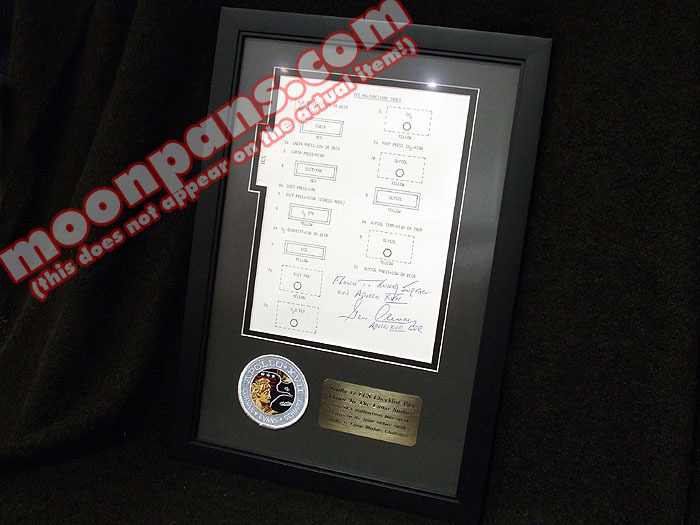 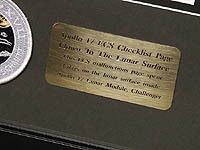 And has been hand signed and inscribed by Apollo 17 Commander Gene Cernan, "Flown To The Lunar Surface on Apollo xvii - Gene Cernan Apollo xvii CDR"